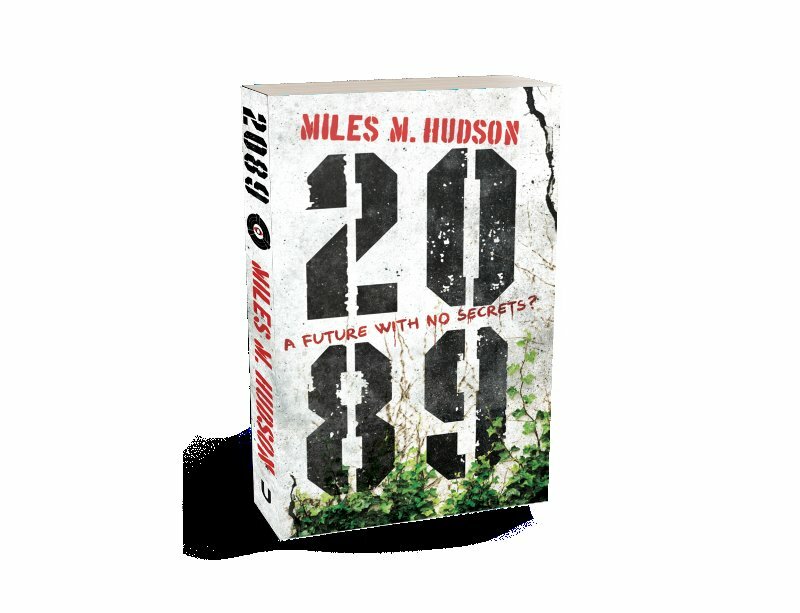 New novel 2089 considers many themes of social and political philosophy, through an action adventure set in a gently post-apocalyptic, climate-changed future Gloucestershire. The author, Miles M Hudson, talks here about the inspiration for and development of this new novel. I watched an interview with Edward Snowden, the NSA whistleblower currently living in exile in Russia. He mentioned that one of the USA’s complaints about his leak of documents was the exposure of their diplomats’ true thoughts about the local rulers and politicians that they dealt with. The immediate response in my mind was along the lines of ‘well, if that’s what you think, have the courage of your convictions and be willing and transparent enough to stand up and say so’. That may be a naïve notion in international diplomacy, but it inspired me to imagine a world in which there can be no secrets – everything you see and hear is published publicly online. To create such a world, I had to develop an all-pervasive surveillance system for it. Whilst not yet realized, my invented technology is, arguably, scientifically feasible. Groups at both Nottingham University, and UCL, are currently working on a Doc Brown style mind-reading helmet. Remotely bugging your brain may not be so fantastical. The next step was then to develop a reasoning for why society would choose to implement this all-encompassing surveillance system, and to relinquish all possibility of privacy. The reader is encouraged to consider the vying needs of security in our society, weighed against personal privacy. I wanted to contemplate how society would develop if privacy and secrets were impossible. Could you even have a war if the enemy could see your plans? So I wanted my society to have positively implemented the surveillance, not to have it simply as some dystopian regime’s tool of oppression. Another theme that has intrigued me for a while is the global shared experience that much of the world’s population felt from World War II. The innate understanding of each other that my grandparents’ generation had struck me as amazing. These days we have, probably, a globally more shared life experience than anytime previously, but it is of the banal. In 2089, I have brought the world’s population together through a decade of localized war, famine, pestilence and death. These Times of Malthus, in the 2030s, sprang from an extreme Wikileaks style exposure of global corporate and government kleptocracy leading to universal, but localized, Arab Spring type events. From the ashes of that, I’ve tried to explore how we could, or ‘should’, rebuild our society, if we started from scratch with essentially a blank canvas and about 1% of the Earth’s current human population. The book opens with the five Covenants of Jerusalem, a new global constitution. This fledgling new society implements the surveillance system, and my intention was to see where we had come to after 50 years with it in place. How would they see intrusions into privacy having known nothing else? Do those under 30 think that we should allow smoking in pubs? When you’ve never known any different you struggle to think differently. Societal conditioning is another theme that I love to play with.